7th Heaven Wedding Cars Sydney has for over 20 years delivered unmatched elegance and style for couples on their wedding day. Our fleet of Sydney wedding cars has won multiple awards and are regarded as amoung the best wedding cars Sydney has to offer. 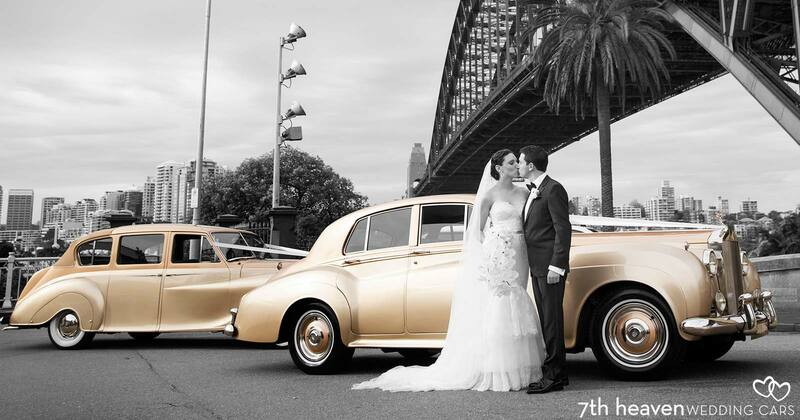 The fleet of 7th Heaven Wedding Cars in Sydney consist of our signature two-tone champagne coloured Rolls Royce and Bentley classic sedans and convertibles. The colour and trim of our distinctive wedding cars was chosen to compliment you and your bridal party with stylish and timeless elegance. 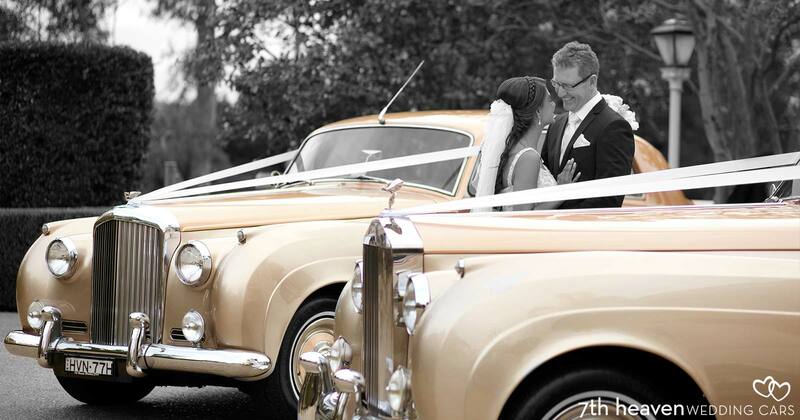 These wedding cars have been meticulously restored and maintained to perfection. 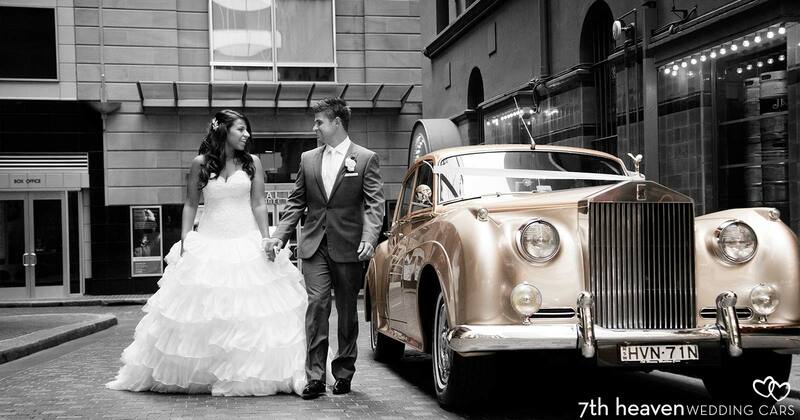 Photographers love 7th Heaven Wedding Cars Sydney. The unmistakable classic styling and design of our Sydney wedding cars provide the perfect backdrop to the photos of your wedding day. With so many stunning wedding locations across Sydney, the results will guarantee timeless photos that will last a lifetime. 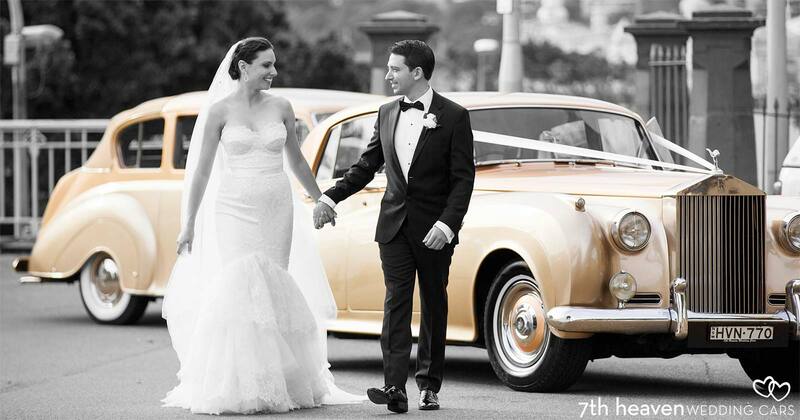 7th Heaven Wedding Cars Sydney is a family run wedding cars business based in Sydney. We have provided Wedding Cars for over 20 years and from the very beginning, our core values have been to provide the best quality wedding cars in Sydney to our clients on their wedding day, with service and attention to detail that is second to none. 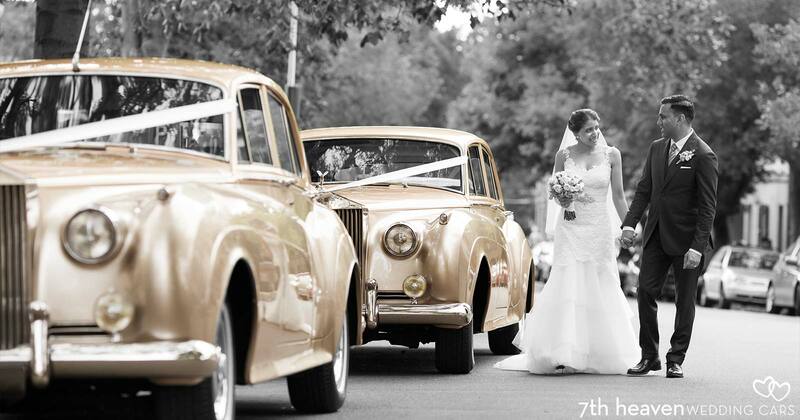 7th Heaven Wedding Cars Sydney's dedication has earned us numerous wedding car industry awards. Read what has been said by our clients. We understand each wedding is unique dependant on theme, number of people, budget and many other factors. We work closely with you to provide a bespoke solution that will make your wedding day unforgettable. Contact 7th Heaven Wedding Cars Sydney to discuss your wedding car hire requirements.